Music games are a bit of a rarity when it comes to the PSP system. Considering that it is something Sony touted as a music player you'd think a music game would go hand in hand with that. Beats was a noble attempt at that but the matching system didn't quite work out. And Parappa the Rapper was fun, but it hasn't really gone anywhere in the near ten years between PS1 and PSP iterations. Finally the good folks at PM Studios felt the desire to bring their popular Korean import, DJ Max Portable stateside. Dubbed Fever, it is a compilation of two previous titles with very little changed in terms of music. So for people out there who didn't have the means to import the other DJ Max titles, this is a good starting point to see what some of the fuss is about. 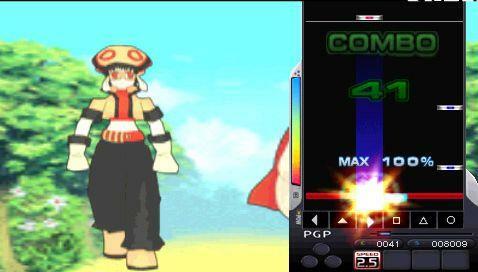 There is a lot be excited about with DJ Max Fever but a good number of technical hiccups prevent it from being a title that should be a must own in every PSP library. 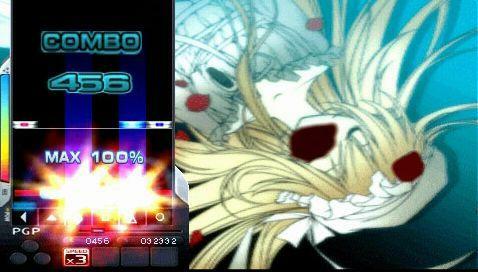 The basic gameplay of DJ Max is not all that much different from Konami's Beatmania series. There are notes that fall from the top of the screen and you must press the corresponding buttons as they reach a line at the bottom. Pressing buttons in time produces music to go along with track that is being played. Failure to do so will result in messing up the music track and failing the song. Success leads to unlocking more tracks, images, and music videos to be viewed in a separate gallery. Here's a big problem for the game, it's not very newbie friendly. In previous versions of the game, there were actually markings to show what buttons were to be pressed on the corresponding lanes of notes. Not so here, so make sure you grab the manual for a quick perusal to learn how to play before hand. At least to assist new people in to the game, PM Studios saw it proper to allow any button to register for any note, at the cost of score. So it is very much possible to button mash through a song, but don't think that if you're playing the local networking mode with your friends that you'll be able to win matches that way. The music is of course the most important part of the whole game, and thankfully DJ Max doesn't drop the ball, but then again this is all dependent upon your musical tastes. All of the music is created in-house for PM Studios specifically for the DJ Max games. So if you were expecting some American beats in the game you'll be sadly disappointed. 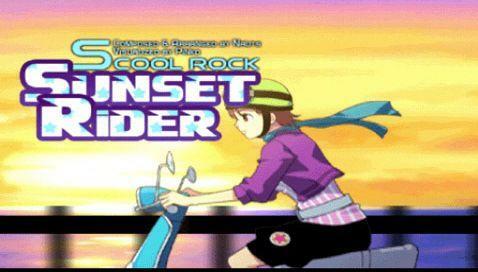 But the tracks that are here are pretty catchy and cover a variety of genres. From Techno to Hip Hop, Rock to Trance, there is quite honestly something for everyone. There are also a few unlockable tracks as well, however to access these tracks you have to achieve some rather ridiculous statistics. To put it rather simply, you could be halfway to unlocking all the tracks, but you still wouldn't have a single new song to show for it. But if you wanted to play over a thousand songs to get something in return then you've come to the right place. Graphically this game sports some pretty high quality visuals, the music videos for the songs all sport great animation, although there are a few duds. If you're so inclined the game also provides you with a music video mode to let you play them back. Or if you just want to list to songs there is a soundtack mode that lets you listen to each of the game's tracks. Another cool bonus allows you to save your unlocked images to your memory stick and use them as wallpapers in the PSP browser menu. DJ Max Fever has a good number of technical issues that really hurt this game. First of all there are a few crashes that occur during gameplay under specific circumstances. If you're someone that goes for completing the entire game, then you're most likely to run in to them than most people. Second, this game suffers from a poor localization effort that causes a good number of the requirements for challenge stages to not make sense. The image collection also suffers from mislabeled image titles, causing a little bit of confusion. Personally I'm not a fan of the unlock system either, I think the unlock requirements were set way too high for the average user to ever even acquire them. 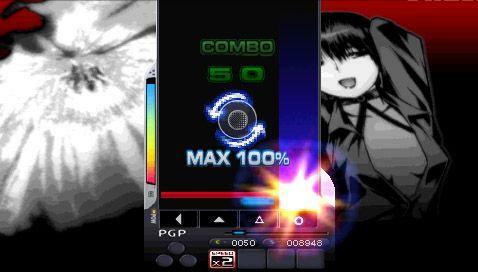 DJ Max Portable Fever does a good job of filling the niche of music games on the PSP. If it sported a little bit more polish then this title would have fared a bit better. It's a fun game, to be sure, but some of the expectations placed upon the player are a little steep. Hopefully PM Studios receives enough sales of the title to feel the desire to produce a second title that gives a little bit more in exchange for the player's time. 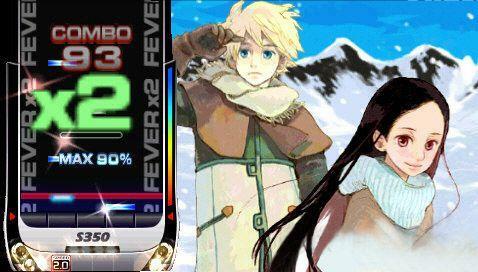 DJ Max Fever has the sound, has the looks, but wants a little too much from the player instead of meeting halfway.